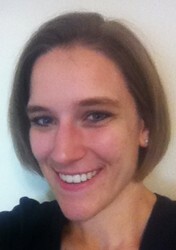 Taylor Binnix is a second year Masters student in the sociology department. She is originally from Maryland and she got her BA in psychology and Spanish at Elon University in North Carolina. Taylor’s primary research interest is suicide. She is currently working on her Master’s thesis, which explores what it means for people to be suicidal. She conducted in-depth interviews with people who had contemplated or attempted suicide about what their experience was like mentally, physically, emotionally and socially to examine what the suicidal experience is really like. Taylor plans to present her research at several academic conferences this spring. When Taylor finishes her MA she plans to continue on for a PhD. However first she would like to take some time off from her studies and take a few years to work in a job where she can exercise her sociology skills in an applied way, such as in education or a mental health field. Taylor has grown to love Memphis and would like to stay in the area for a while. In her free time Taylor enjoys socializing with her friends and playing Ultimate Frisbee. Taylor reports that Memphis has a very active Frisbee community with regular pick-up games and a co-ed summer league. The University of Memphis even recently started a club level men’s Frisbee team. Taylor! Congratulations on your well deserved recognition for your research on suicide. Wish I could hear you present or at least read a paper on your findings. Suicide (prevention) is a topic I’m very passionate about as you know, it is an epidemic where we live! So proud of you & happy to see your doing great things. Keep me posted & keep working hard. All your efforts will pay off. Congratulations, Taylor. Good luck with your research and your presentations.